One of the most frustrating errors on Windows computers (outside of the Bluescreen of Death) would probably have to be the “Windows Failed to Start” error message. And like bluescreen errors, we usually overlook them and simply restart the computer for a quick fix. Sometimes it works, and other times it doesn’t. Is it a cause for concern? How can I get rid of this message? Remove all things plugged into the computer except for keyboard and mouse. Updates happen all the time, and external devices such as printers, scanners, and fax machines can have faulty drivers that could prevent Windows from loading properly. Try a Hard Reset by unplugged the computer for a few minutes. Might clear up the problem on its own, especially if it is attributed to any form of overheating. Use some form on startup repair. Using a Windows Vista or Windows 7 disc and selecting “Repair my computer” after booting to the disk can resolve issues by replacing faulty system files with working ones. As soon as the computer loads, continually press F8 until you see a drop down menu. From there select repair my computer and follow the directions as if you were using a CD. Perform a System Restore. For those who have been consistently keeping schedule system restore backup files on their computer, you will be in luck. Windows will load back to a previous state in which Windows worked. This will help you isolate the problem and avoid the problem from happening again. When you are completely exhausted from these ineffective ideas, you may need to perform a full system recovery which will reset your computer back to its factory settings. Be sure to contact a computer repair company who can help you with this because if you are not careful you could lose of your important data as a result. Yes this error message can be really crippling at times. But by using the steps above, you may be able to resolve your issue a lot easier than you thought. 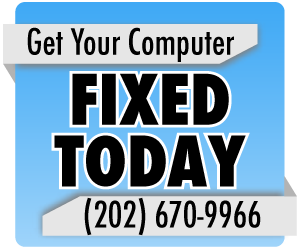 However, it is important to contact a computer repair problem if you feel that your computer is in grave condition. Is My Computer Too Old to Repair?